Bats Nesting in your Attic? For just about any homeowner in the Northeast region, the last thing that you want to deal with, whether it’s in the winter months or the summer, are bats nesting in their attic, or in a crawl space or any other place within the house. Bats can create quite a nuisance and eliminating them from the home is a bit more complicated than calling an exterminator (not recommended). Bats don’t create their own homes the same way other animals in the wild do. They don’t curl up and sleep in a protected corner. They hang from any object, whether it’s nails in the roof boards in the attic or phone or electrical wire that runs throughout the house. As such, they often create a mess everywhere they hang. That mess is called guano and it shouldn’t be ignored. However, if the homeowner knows that the bats have only recently begun to nest in their house, or they simply do not have the finances to hire a professional service to come in and take care of the problem for them, then there is an option available to them. It’s called the Batcone or and the Procone, designed by Jim Dreisacker, owner of Westchester Wildlife. This Batcone was designed to be disposable, which means that getting rid of the bats will not require you to have an unsightly object sticking out from the exterior of the home. The Batcone is effective in every aspect in getting rid of bats from the home. Its simple design makes getting rid of bats (and other small animals) safe and environmentally conscious; there is no need to kill bats in your home and then have to remove them from the insulation or other places that they are occupying within the house. 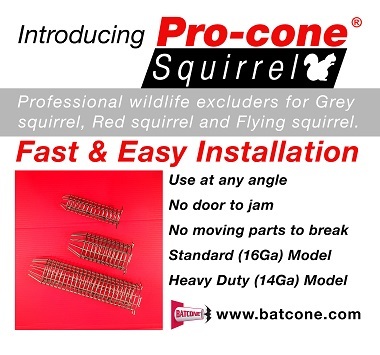 While it is possible to use the Batcone yourself, if you have the opportunity to hire the best professionals in the area to come in and do it for you, then you will rest assured knowing that any and all possible entry points within your home are sealed off to eliminate any chance that they might return. Since bats need to eat every night, just as people need to eat every day, then they will need to leave the house at least once daily to search for insects that supplement their diet. Installed properly in a bat-proofed home, the Batcone leaves one point of exit for the bats to head out into the night in search of their food, and its special design ensures that they cannot get back in. The Batcone’s special cone design forces the bats to crawl out, but will be unable to climb back in due to the smooth plastic and narrow opening. 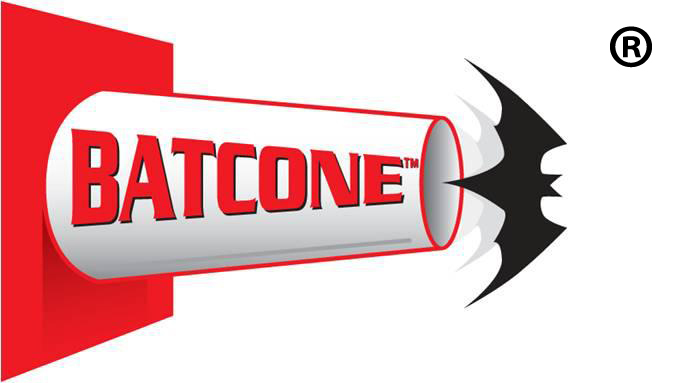 When you hire a professional service to install the Batcone, you also get the peace of mind knowing that everything the bats left behind will be removed and cleaned up, ensuring that your family won’t suffer any health effects as a result of their invasion. When the bats are gone, simply remove the Batcone from the house, seal up the entry point, and if your house is properly bat proofed (all points of entry have been sealed up properly), you will not have to worry about this bat removal problem again.